How does one share this painful chapter of America's past? 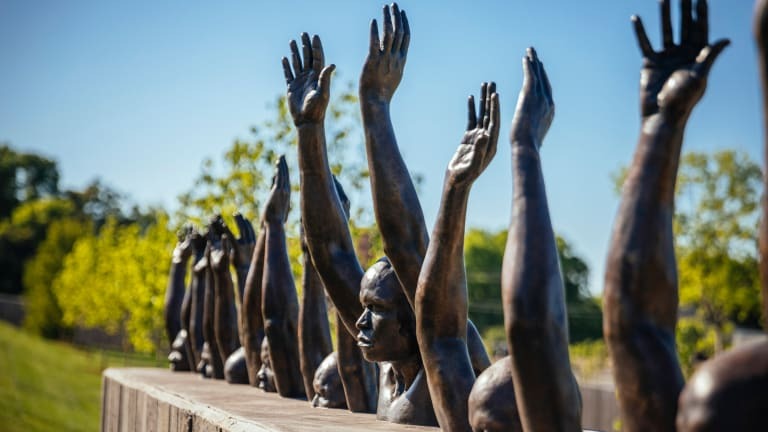 An historian, and mother, describes the indelible impact of her family's visit to the National Memorial for Peace and Justice. Is there any good way to teach children about lynching? After attending the opening of a powerful new memorial and museum, which together explore some of the most painful aspects of American history, I wondered about the prospect of returning there with my 12-year-old son. My husband and I wanted him to learn everything about America’s past—not just the good parts—and we knew most of this material would not appear in his middle-school curriculum. 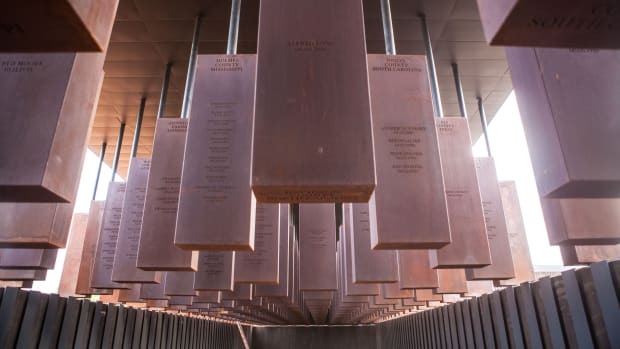 As a scholar of African-American history, I was moved by both spaces—more so the memorial, which is a beautiful six-acre outdoor space honoring the victims of more than 4,000 racial-terror lynchings that occurred throughout the United States between 1877 and 1950. 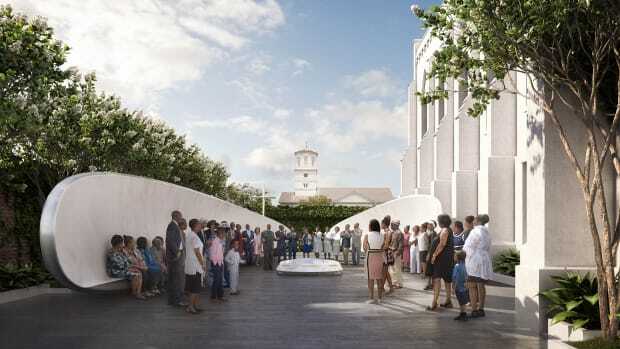 The first of its kind, this memorial is a profoundly important acknowledgment. 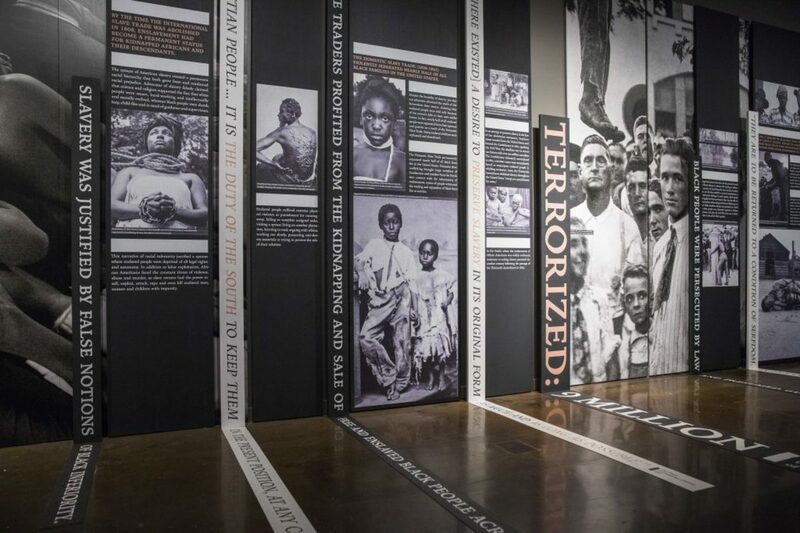 The museum brings to the fore material about slavery, mass incarceration and racial violence that to date has rarely been seen or known by a wide audience, with the exception of the “Without Sanctuary” exhibit of lynching photos, which has been traveling nationally and available online since 2000. 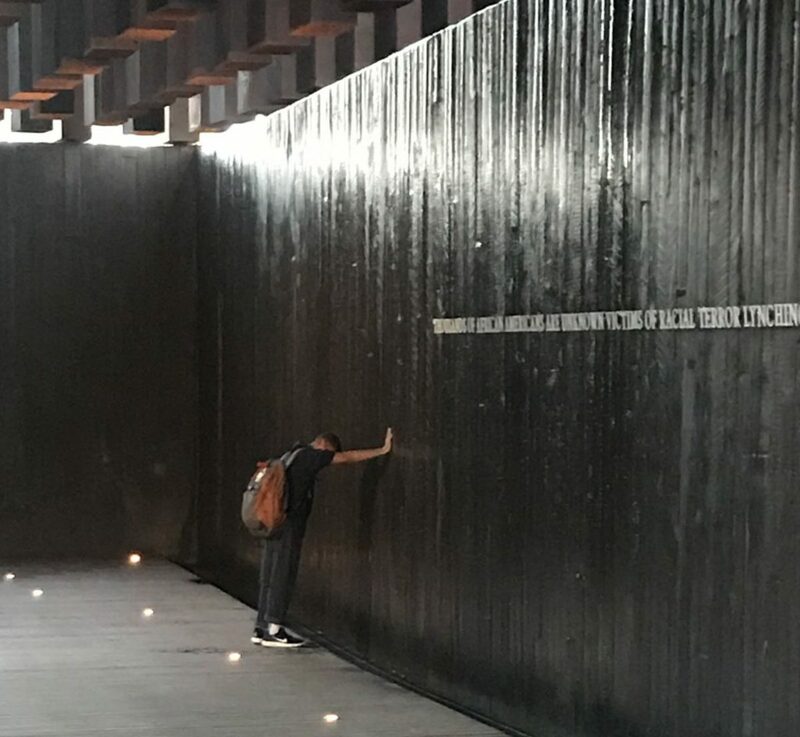 The author’s son pausing for reflection at what he called ‘the wall of tears,’ after absorbing the painful history of lynching at the National Memorial for Peace and Justice in Montgomery, Alabama. My son spent the first 10 years of his life with me writing a book about the history of slavery. When The Price for Their Pound of Flesh: The Value of the Enslaved, from Womb to Grave, in the Building of a Nation was published last year, he was both proud and relieved. He was proud because our everyday dinner conversation was about the ways enslaved people valued themselves and how they coped with enslavement. He knows about family separation, auctions and sales, and has been comfortable with this history since he was old enough to understand it (around age 5.) He was relieved to know that he’d be able to spend more time with me and experience family life without “Pound” (our nickname for my book) conversations. I knew that after this weekend, though, I’d have more lessons to share with him, lessons that include the challenging experiences of his ancestors and many other black, Latino, Native American and even white folks—men, women and children—who died as a result of lynching. An installation the new Legacy Museum, part of the National Memorial for Peace and Justice. We started with the Legacy Museum, which documents U.S. history from slavery to mass incarceration. Visitors enter it on the site of the domestic slave trade where enslaved people were housed in jail pens prior to being sold and transported to their new owners. On this spot, from the 1830s through the Civil War, black families were separated and sold. Husbands lost their wives, children lost their siblings. For most of them, it was the last time they saw each other. This warehouse, situated at 122 Commerce Street and owned and operated by a man named John Murphy, was one of five large depots of active slave trading in downtown Montgomery. After leaving the slave-jail section, we skimmed past the slavery exhibits because he learned much of that history at home and at school. 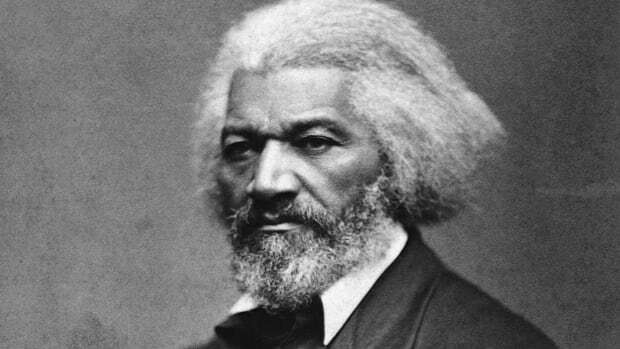 In his school’s robust 8-week unit on slavery, he read slave narratives, watched the 1977 and 2016 versions of “Roots,” and learned about slave labor, family and community. Each student wrote a letter to a formerly enslaved person and created a shadow-box of the life of the enslaved. 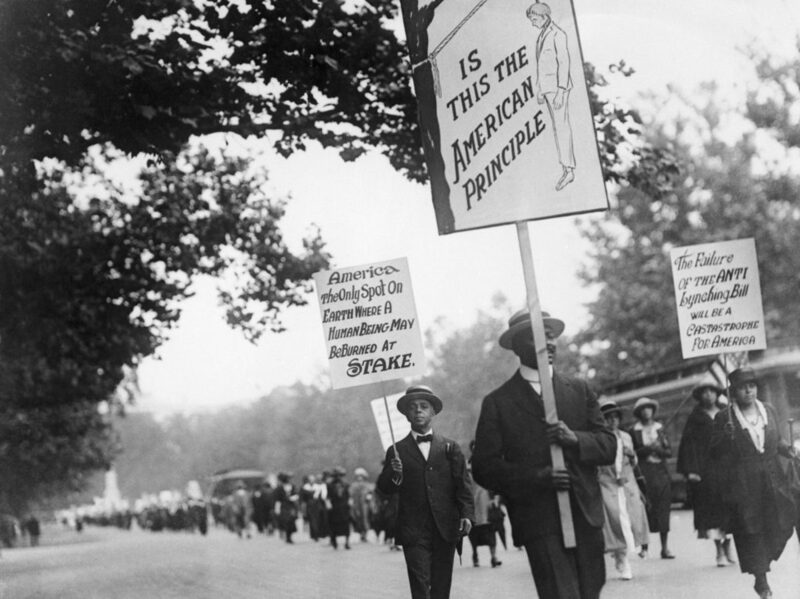 Thousands of black men and women carrying signs urging control and the ending of lynchings, 1922. 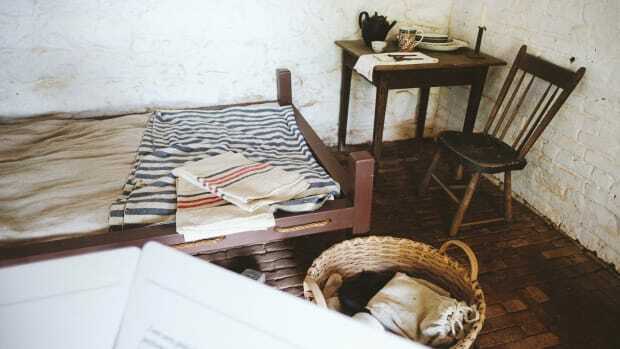 Large words on the walls such as “Kidnapped,” and “Terrorized” describe the experiences of slavery and incarceration in America. My son stopped at an image of a 14-year-old boy crying on his mother’s shoulder, the caption indicating that this young man had just received a life sentence. My son was silent. The boy looked his age. I waited to see if he would ask me anything or comment. He didn’t. He sighed and took it in. I had trouble with the image because it is something so many black parents fear, given the challenging racial climate we live in. But it reminded us, importantly, that this current climate has a history. For the past few years, my son has been trying to make sense of what he’s witnessed on television—the massacre at a Charleston, South Carolina church and the disproportionally larger numbers of recorded deaths of unarmed black people. 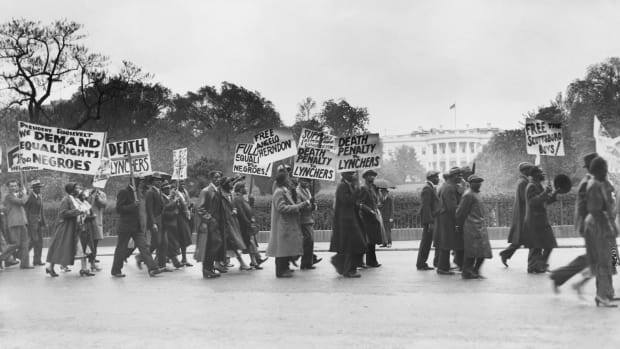 Learning about the details and “rationales” of lynchings, for example, helped him connect the current moment of racial terror to decades of terror. The Legacy Museum, like the work of Ida B. Wells in Red Record, has the statistics and horrific images to prove it. There was so much about young incarcerated men and boys in the exhibit that I found myself wondering why there was not equal treatment of women and girls. Current research confirms that black women not only make up a disproportionate number of females behind bars, but they also experience violence at the hands of law-enforcement officers at higher rates than other groups of women. Their stories are not well represented in the museum. As I was reflecting on this, I realized I had lost track of my son. Just as I was collecting my thoughts and trying to respond to that complex question, one of the EJI staff members came to take us to the Memorial. I was off the hook—for now. 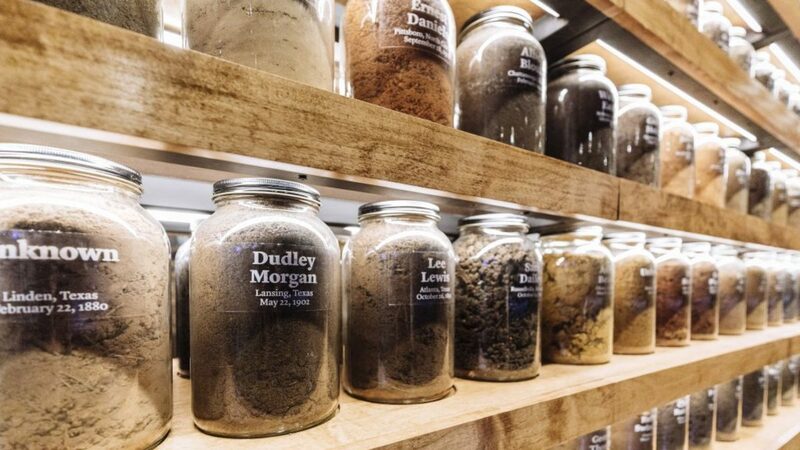 Hundreds of jars of soil from documented lynching sites at the new Legacy Museum, part of the National Memorial for Peace and Justice. Before we left the museum, my son paused at the two-sided, floor-to-ceiling display of jars of dirt representing lynching victims. Each jar holds the soil from the site of a lynching and the name of the person lynched. 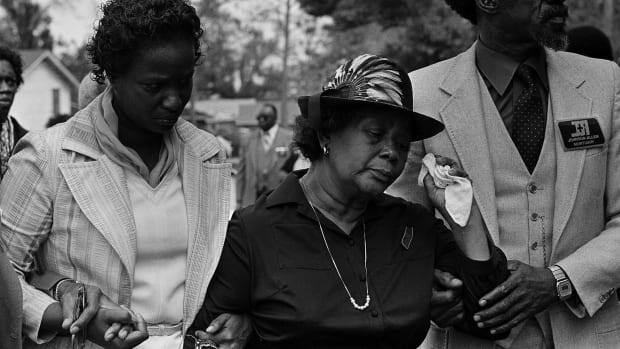 Here I saw familiar names of women such as Mary Turner and Laura Nelson, women whose stories I often share in my African-American history class and that Princeton-based scholar Crystal Feimster writes about in her book Southern Horrors. My son also noticed that entire families were lynched in one setting since there were several people with the same last name. I happen to know some of the stories and could tell him who they were. As he read the names and locations, he saw the different soil composition: Georgia red clay, greenish-brown Kentucky mud and orange-brown South Carolina dirt. He touched the jars and was noticeably moved. At first I wanted to tell him not to touch, but I could tell he was drawn to them and wanted to get closer to the people they represented. The dirt was something simple, something tangible, something physical from the site of terror. It also gave him an opportunity to get close to an object that perhaps the deceased were physically a part of, and he wanted to make that connection. As he reflected on what it meant, he saw from a slight distance, for the second time in his life, real images of lynching victims, which appear on a screen and then blur out after a few seconds. He was visibly shaken and slowly walked over to the touch screen. The charred body of a black man…the body of another hanging from a tree with thousands of spectators beneath him…the body of Laura Nelson…screen blurs. I did not mention that Nelson was lynched with her 14-year-old son. I could tell, he had seen enough. “This is what it looked like? This is terrible. How could people celebrate killing someone like this?,” my son asked. These were rhetorical questions that needed no response. He and I both knew that there were no justifications for this type of hate. No one should die this way. Part of a sculpture by Kwame Akoto-Bamfo, on the grounds of the new National Memorial for Peace and Justice. We left the Legacy Museum and headed to the Memorial, where we were fortunate to have the grounds all to ourselves. 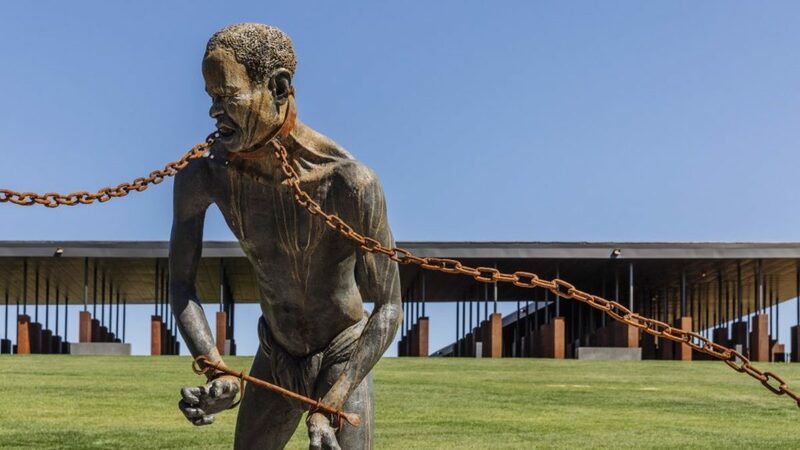 The first thing my son engaged with was the striking life-size sculpture produced by West African artist Kwame Akoto-Bamfo, a rendering of some half-dozen enslaved people chained together in a circle, their faces contorted with horror, fear, pain and strength. My son walked all around it and squatted down and looked in their faces. Men, a woman holding an infant, some on their knees, others standing looking shocked at the reality of their captivity. It was like he wanted each of them to know that he saw them and respected them. He said, “We were strong.” I reminded him that we still are. I had not thought as much about the “unknown” when I visited the memorial the week prior because I was thankful for the families who now had a place to honor their loved ones. But now my son allowed me a space to grieve their loss as well. My husband reminded us that there are families whose relative went away and never returned, and the loved ones never knew why. The victims are unknown to us, but somebody missed them. Part of the National Memorial for Peace and Justice. 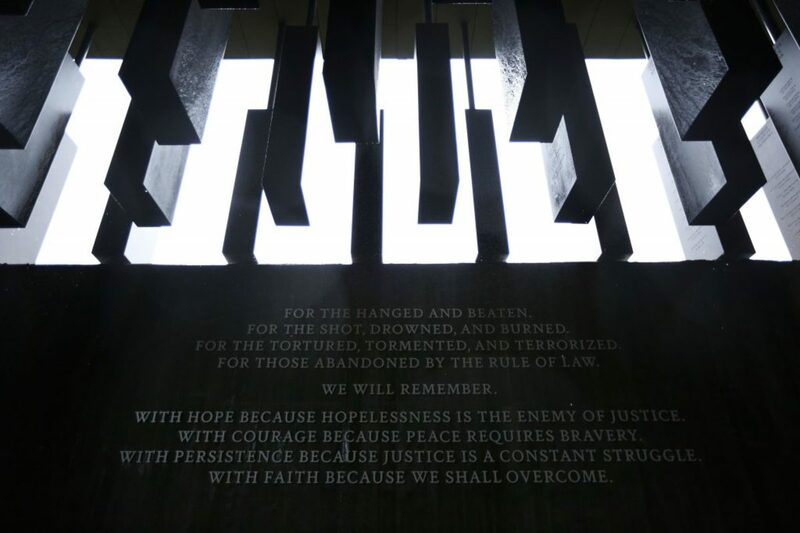 As we turned the first corner, my son realized that the memorials were going from eye level to above his head: “Oh…they’re getting higher!” He wanted to know if the height represented how high they lynched them. For me, the height was symbolic of lynchings where victims were hung from trees or high platforms. We were forced to look up. We rounded the second corner, and by now the slabs were way above our heads. We were drawn to the text panels of the lynching stories these slabs represented: “George Briscoe was lynched” in Maryland “for an alleged robbery.” “Ballie Crutchfield was lynched” in Tennessee “for searching for her brother,” while Zachariah Walker was burned alive by “1,000 men, women and children,” a lynch mob. “Henry Patterson was lynched” in Florida “for asking a white woman for a drink of water.” My son read them and became visibly frustrated: “They couldn’t do anything with white people! This is frightening… These reasons are so stupid.” I knew he was upset and disturbed by what he was reading, and I also knew that it was important for him to know this history. It also helped him understand our current moment. It all came together here. We talked about the senseless killing of blacks and about the connection to lynching in the past. As we talked, I was reminded of the importance of teaching our children the truth about American history. For one, children attended lynchings and were also victims. White parents in the 1880s to 1950s had no problem taking their sons and daughters to these spectacle events. My son was quick to see images of children his age attending lynchings with their parents in their Sunday best with smiles on their faces. Hate is taught, and it is not something we want to teach our son. But he saw hate and so did we. “Who did this?” he kept asking us. Why don’t we know more about the perpetrators? He wanted to hear from those who committed these crimes. He wanted to ask them himself why they would kill someone for voting, for asking for water, for looking at a white person. I used this conversation to return to his question “Why did they hate us?” I shared that hate does not always make sense and that some people hate us because of the color of our skin. But I could not answer all his questions, except to say that hate combined with power and authority can cause a great deal of harm. Daina Ramey Berry is an award-winning historian at the University of Texas at Austin and author of several books on slavery including The Price for Their Pound of Flesh, the Value of the Enslaved, from Womb to Grave, in the Building of a Nation. Follow her on twitter @DainaRameyBerry. History Reads features the work of prominent authors and historians.